In order to familiarise students towards social & health causes, MET IMM invited the NGO 'Crusade against Tobacco' (CAT) for a special sharing session. Vincent Nazareth, from CAT shared valuable insights on 'Harmful effects of Tobacco' in an interesting and interactive manner. 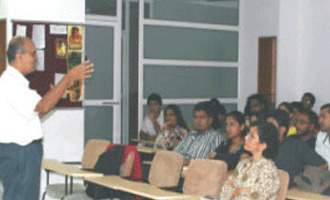 The session left a tremendous positive impact on the faculty and students.